As you can tell by these pictures, the Atlas Line has been alive and well this and last week. With decent volatility on January 28 and today, January 31, the E-Mini S&P has been an excellent market to trade. I prefer trading in the A part of the day (the morning, pit session) because of the CME’s direct influence on the market. 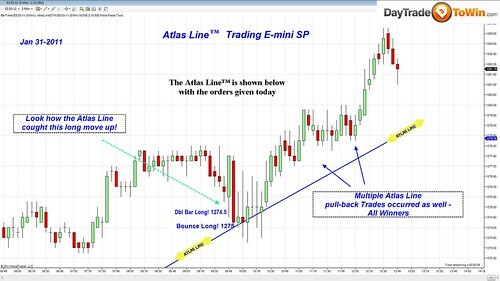 In the charts below, you can see how the Atlas Line can make for an excellent end and beginning of the week! 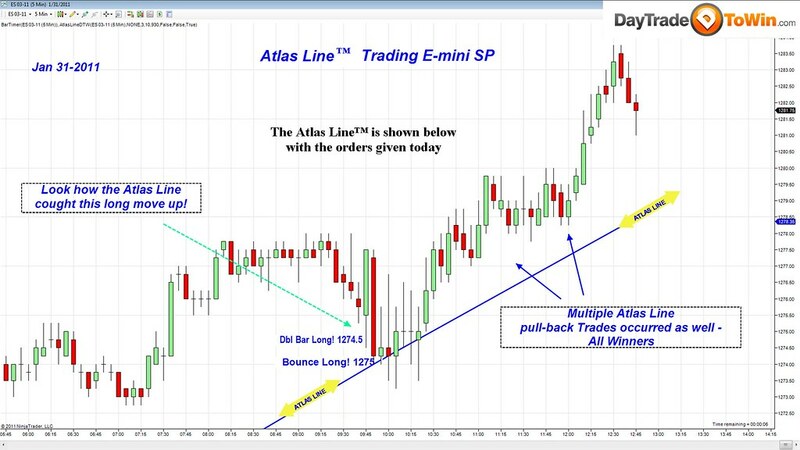 Long signals were generated by the Atlas Line at around 9:45 a.m. at around 9:15, price fluctuated a bit, allowing for several Pullback Trades (these special trades are taught to customers in the Atlas Line introductory webinar). 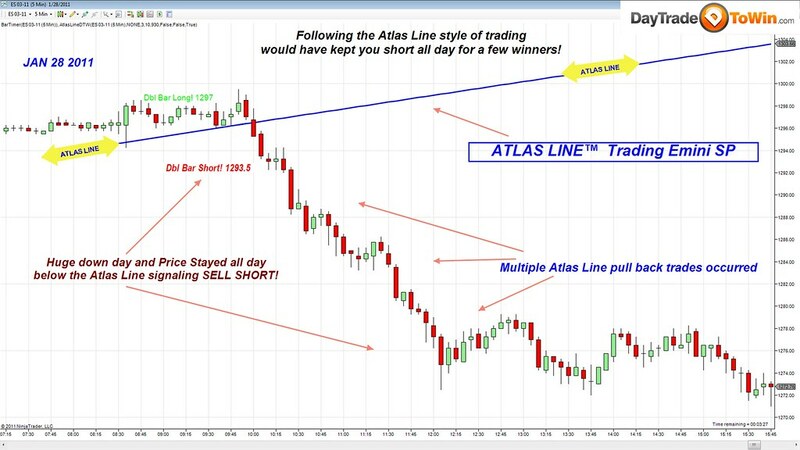 A huge down day with the Atlas Line accurately predicting a price drop at 1293.5. If you held on for the ride, it would have been highly profitable. 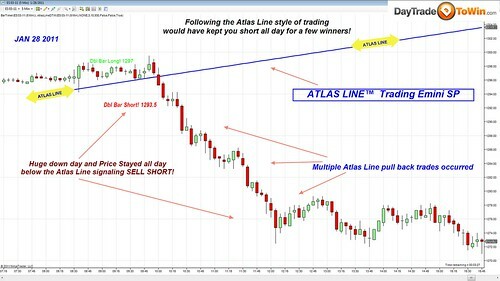 In addition, Atlas Line traders are taught how to identify and take advantage of Pullback Trades, a trading technique unique to Atlas Line customers. It looks as though the atlas line does not readjust itself during the day..? That’s remarkable, what happens during news events though? Quite rare to find tools like this, bravo!